The following article is Nicaragua Network / Alliance for Global Justice’s response to the attention the possibility of a Nicaraguan coup has received in the media today. While the facts in the Prensa Latina article, “After Honduras, Nicaragua?” on April 22, 2010, and some coverage by other international media, are correct about the current turmoil in Nicaragua, the implication that Nicaragua is ripe for a coup, like occurred in neighboring Honduras, is not. The Nicaraguan opposition, generously funded by the US National Endowment for Democracy and US Agency for International Development, has worked to make the country ungovernable virtually since President Daniel Ortega took office in January 2007. One of the periodic escalations of those tactics is taking place now. During the previous unpopular government of Enrique Bolaños (2002-2006), laws were changed which were intended to adjust the balance of power between the executive and legislative branches. 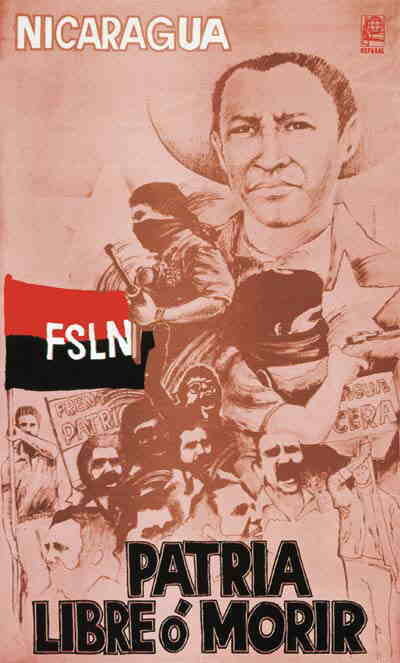 There was a widespread feeling among the two major parties — Sandinista Front for National Liberation (FSLN) and the Constitutional Liberal Party (PLC) that the Nicaraguan constitution placed too much power in the hands of the presidency. As a result, the constitution was amended to give the National Assembly the power to elect the magistrates of the judicial and electoral branches and a number of executive branch positions such as comptrollers general, human rights ombudsman, superintendent of banks, etc. In all, the legislature gained the power to elect the top 25 appointed positions of the other three branches of government. Since no party has a majority in the current 92 member National Assembly (the Sandinistas have 38 votes), no single party has the power to appoint Supreme Court justices, Supreme Electoral Council magistrates, etc. Late last year, as some positions terms were coming to an end and the remainder of the 25 expiring soon, President Ortega took the only step he could take to maintain a functioning government — he issued a decree that those in appointed positions would continue to serve until the National Assembly appointed their replacements. Imagine if in the US all the members of the Supreme Court, the governors of the Federal Reserve, the Attorney General and others all had to be elected by the Congress over a matter of three months and the Republicans decided to filibuster all the positions. That was the position facing President Ortega. Only after he issued his decree did the National Assembly even appoint a committee to begin the process of making recommendations for filling the vacancies. In the most politically cynical manner imaginable, the opposition and apologists for US policy, such as the Washington Post’s Jackson Diehl, are attempting to characterize Ortega’s action as one to accrue powers similar to the dictator Somoza, rather than what it was, a last ditch effort to maintain a functioning national government. Some former Sandinistas, such as the previously respected Victor Hugo Tinoco who represents the Sandinista Renovation Movement (MRS) in the National Assembly, have openly conspired with the right-wing opposition. Others, such as Cmdte. Monica Baltodano, who was also elected on the MRS ticket, have resigned from the MRS in disgust at its tactics. Where the situation stands today is that the right-wing opposition is attempting to find the unity to declare Ortega’s decree illegal and effectively paralyze the national government leaving it without a functioning judiciary, electoral authority, and with many agencies headless. After more than four months of paralyzing the National Assembly, indications are that they have either achieved the votes they need, are engaging in political theater, or most likely both since only the Supreme Court can rule a presidential decree unconstitutional. Sandinista base militants are apparently clashing with the opposition which is giving fodder to international media parasites such as Diehl to continue their attacks on Ortega and the Sandinista government. What is different in Nicaragua than Honduras or the rest of Central America is that Nicaragua has a patriotic army that has maintained absolute political neutrality since it changed its name in 1990 from the Sandinista Popular Army to the Nicaraguan Army. Unlike the armies of its neighbors, the Nicaraguan army also has no record of repressing Nicaraguan citizens. The Honduran coup succeeded because the Honduran army was loyal to the ruling elites. In Nicaragua the army is loyal to the nation and to the institutions of government. There will be no coup in Nicaragua. 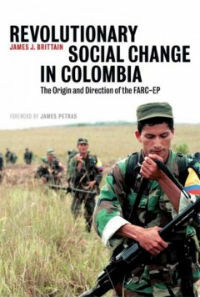 This entry was posted in Anti-War / Anti-Intervention, Nicaragua and tagged Alliance for Global Justice, Chuck Kaufman, counter-revolution, Daniel Ortega, FSLN, Honduras, Manuel Zelaya, National Endowment for Democracy, NED, Nicaragua Network, Revolution, Sandinismo, Sandinista Front for National Liberation, Sandinistas, USAID. Bookmark the permalink.